Clothespin crafts make for easy DIY home décor and crafts for school kids. Used to make adorable tiny toys, wedding decorations or impressive home decorations, these wooden staples are a long way from being forgotten in the age of automatic dryers. Give these 20 ideas for clothespin crafts a chance. Your kids will love joining in the fun and you’ll get a kick out of it. Most of these cool crafts with clothespins require nothing more than a few clothespins, a hot glue gun and some decorative elements to your fancy. Are you eager to get started? So are we! 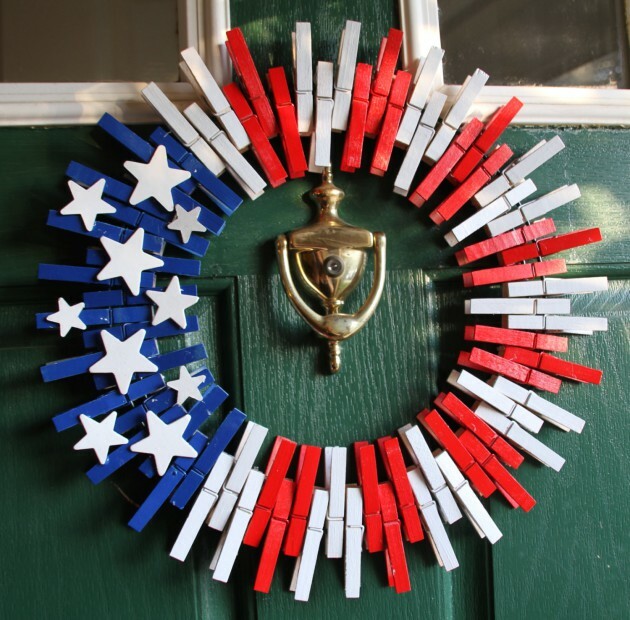 Here’s our collection of 23 cool clothespin crafts ideas. 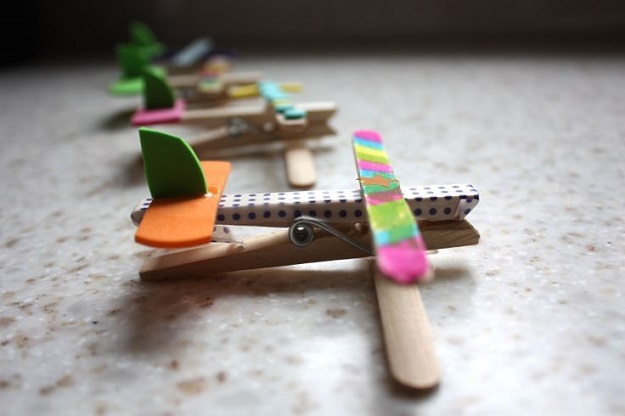 Glue all the pieces together and make a collection of funky planes for your little ones to enjoy. Choose your favorite colors and a rope long enough to suit your organizing needs. Fix the rope in place and put up your favorite photo memories. 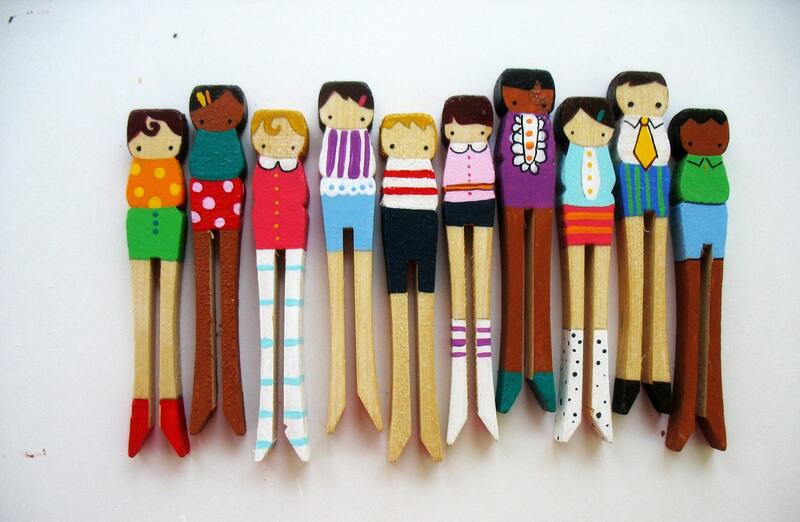 This is a cool clothespin picture line craft and idea to decorate your home in an inexpensive manner. 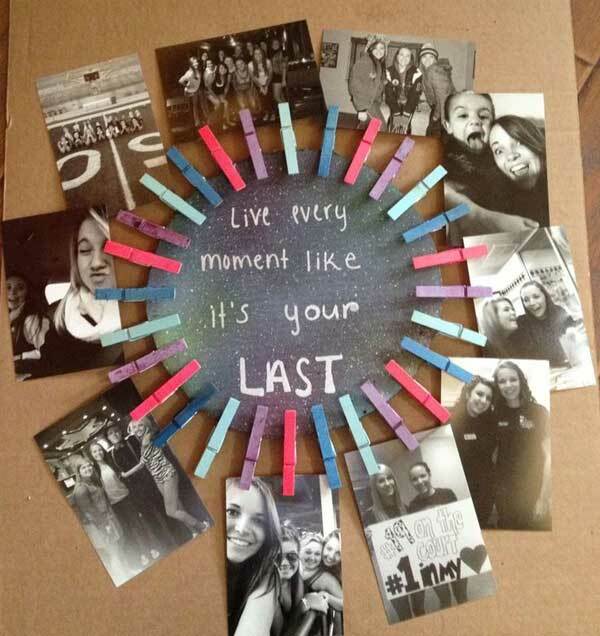 Interested in more DIY crafts you can use to display your pictures? Check out our DIY button picture frame tutorial in our collection of the most fun DIY button crafts! Put one end of the earphones’ wire through the loophole at the end of the peg. Roll the rest of the wire around the peg and there you have it. Your own detangling tool. 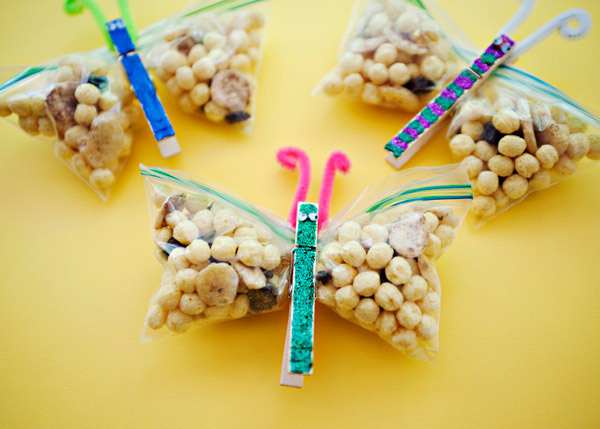 However, you need to be pretty crafty and patient to make these. You will first need to cut out the shapes of the fish, hearts, or whatnot. Then, use the hot glue gun to attach the shapes to the toothpicks. The next step is to drill holes into the clothespin and stick the toothpicks in there, carefully trimming the ends. And for the finishing touch, decorate your hidden treasures with paints and coating. The first peg you attach will dictate the direction and position of the others. If you decide to glue the clothespins in place, make sure you don’t add more than a drop of glue on the inside. Too much glue can leave unaesthetic marks which are difficult to remove. With nothing to more than these items, you’ll have a collection of tiny clothespin crafts animals in no time. Ask your kids to participate in this super fun activity which is ideal for clothespin crafts for kids’ project. The best pegs for this wooden clothespin crafts idea are the ones with a tiny spring in the middle. If you take out the spring, the two sides of the peg are left loose. 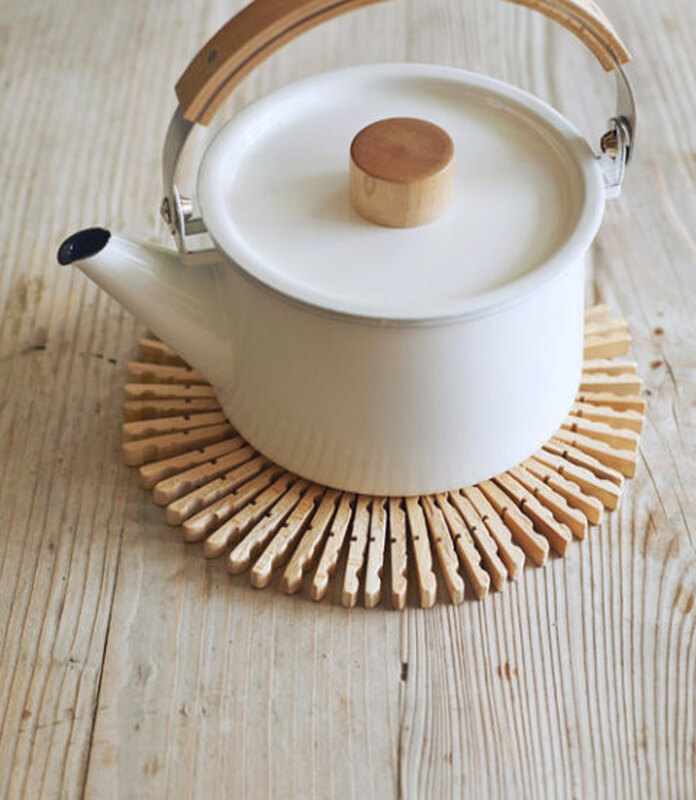 Use the loose sides to glue them together and get this lovely rustic looking coaster. The more layers you add, the larger the coaster. And, of course, a knack for crafts. You can add the magnet to the back of the cardboard support and place your creation on the fridge. Moreover, you can make a tiny hole in the cardboard, put a wire or ribbon through it, and hang your craft clothespins in any room in the house. Neat, right? Here are some of the most beautiful Christmas decorations we have ever seen. Could it be the natural aspect of the wood or the intricacies of the carvings that make them so appealing? Regardless of the answer, these clothespin crafts are always welcome on our Christmas trees. The googly eyes should complete the anatomy of these cute little butterflies. Instead of investing money in a tea box, create this artsy clothespin tea organizer. The pegs are glued to a hanging cardboard support. By the way, the floral pattern visible in the back is beautiful. Since one part of the clothespin is fixed, the other remains mobile, making it easy to put tea bags on display. We can assure you this activity is loads of fun and quite rewarding to see the colored clothespins caterpillars hanging everywhere. Recommended read: Also check out the easiest and coolest acorn crafts you can make this fall! Simply clip the clothespins together in any pattern you want, following this tutorial for a DIY clothespins night light. 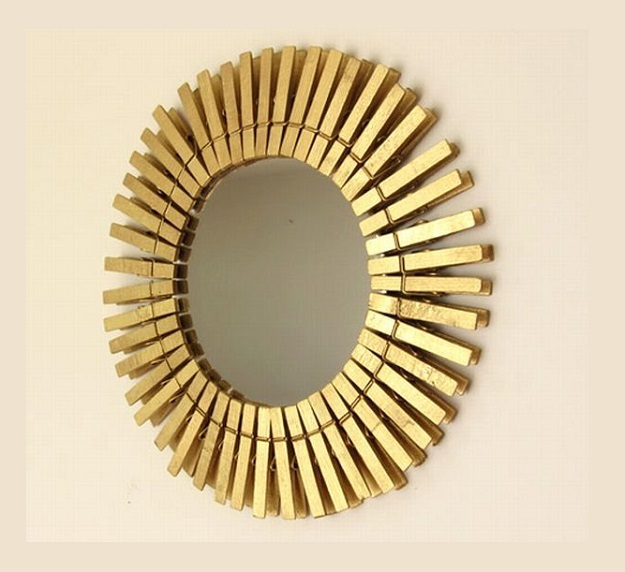 Now you can whip up a great looking clothespin wreath in no time. 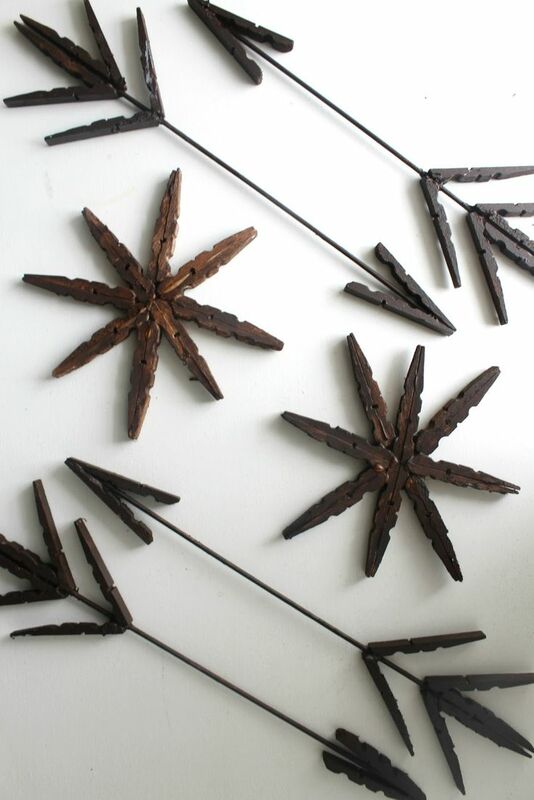 Just clip the painted clothespins on the wire support in any pattern you desire and attach the stars! It’s never too late to start thinking about Christmas decorations. As such, if we haven’t said it so far, we will now: clothespin crafts make beautiful and creative Christmas decorations. Take this clothespin reindeer craft with a puffy cottontail. Lovely, right? Simply cut out the body of the reindeer from cardboard and place 2 clothespins at the base, as legs. Then, use the diluted red watercolor to make the nose of the clothespin reindeer in red. There are so many ways to bring a clothespin reindeer craft to life that we should dedicate an entire article just for them. Nevertheless, this is another one of our favorites for which you can use older clothespins. Are you impressed yet? This is one of the coolest crafts for preschoolers you could find, but it’s Christmas-themed. If you’re looking for some other cool crafts you can do with your kid all year around, we recommend going through our tutorials on DIY crafts for preschoolers. decorated sticky tape / paints / sharpies / etc. Just attach the magnets to the back of the handy pegs and decorate the front with your tool of choice. If you’re looking for some more crafts to do with your kids, check out these DIY projects on wine cork crafts and these tutorials for DIY bottle cap crafts! 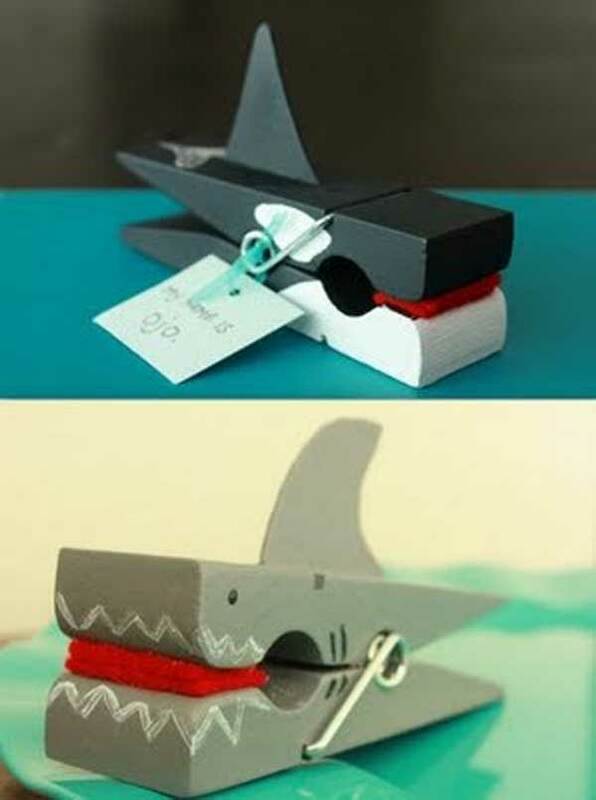 Clothespins can also bring added benefits to other crafts. Here is a simple way to keep your decorative ribbons in an orderly fashion. 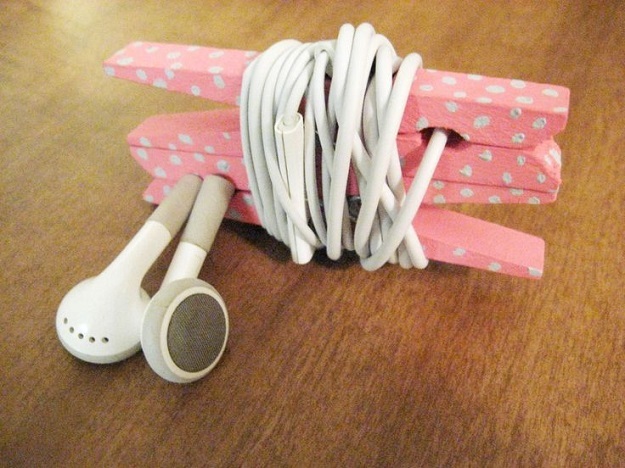 The method is pretty self-explanatory, as you only need the clothespins and the ribbons. You can follow the step-by-step tutorial from FarmBoyCityGirl to complete this DIY clothespin project. 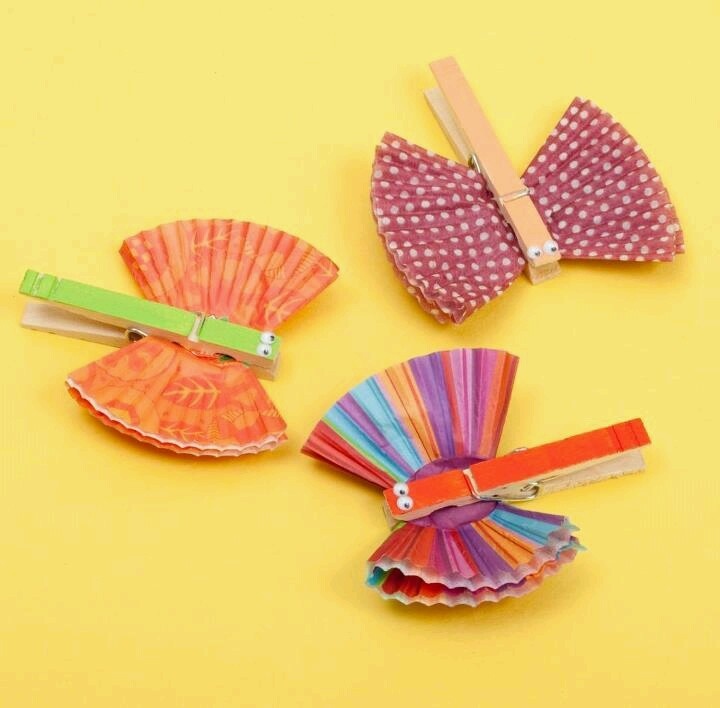 Did you find any clothespin crafts you like? Try them out and let us know how it went. Crafts using clothespins are inexpensive ways to create lovely décor or functional objects that both you and your loved ones will enjoy.